As always it is a great pleasure for me to welcome all of you who have attended in such large numbers. I have already welcomed our distinguished visitors and I now extend that welcome to all our guests. I congratulate all the brethren I have had the honour and pleasure of investing this afternoon. 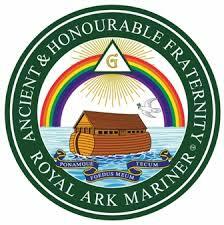 You have all worked diligently to promote the interests of the Royal Ark Mariner degree and you have earned the rank conferred on you this afternoon, but your work does not stop here. Your seniority in your respective lodges as well as within the Province gives you the added responsibility of encouraging the junior brethren within your lodges to expand their knowledge of our beautiful Fraternity and to work towards attaining the Chair. It also asks you to act as an ambassador for the Fraternity and to promote recruitment into the degree from the brethren of your Mark lodges. It takes time and much hard work to prepare for this meeting and I am most grateful to Bro Trevor Clarke and his secretarial team for the efficient and timely way they handle the administration of these preparations. I am equally grateful to Bro Roy Moth and his assistants in the DC’s department for the time and trouble they take to ensure that our ceremonial is rehearsed and performed to the highest standards we have come to expect. I am most grateful t and thank you all for the trouble you have taken, not just for this Assembly but for all those meetings of the Province you have organised with such success in previous years. This is the last time I shall have the opportunity of addressing a Provincial gathering as your Provincial Grand Master and I want to take this opportunity to thank publicly my Executive team both past and present and all the Provincial officers I have appointed over the past ten years, but most especially to all the brethren of the Province for your support, kindness and generosity during my time as Provincial Grand Master. It has been a privilege to serve you all. The Province is about to embark on a new chapter in its long and distinguished history and under the leadership of Bro Richard Walker I am sure it will continue to be the happy and successful Province it has been in previous years. I wish you all health and happiness for the future. purchase college essays online https://essaypalace.com/college-essay/ . Cheap dreadlocks extensions double ended dreadlocks pre made synthetic dreads.